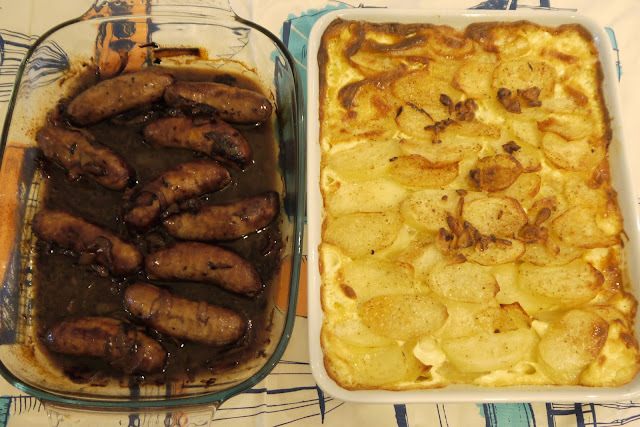 As the evenings get colder there's nothing better than to have a big plate of comfort food. One of my favourite recipes from last year is Gordon Ramsay's caramelised red onion hot pot with dauphinoise gratin. It's one of those dishes where you can make loads and have enough left overs for the next day which usually tastes even better. I am sure you guys all know by now I like quick, simple and delicious recipes (lemon, garlic chicken) since we both just don't have time to be cooking difficult dishes during the weekday. 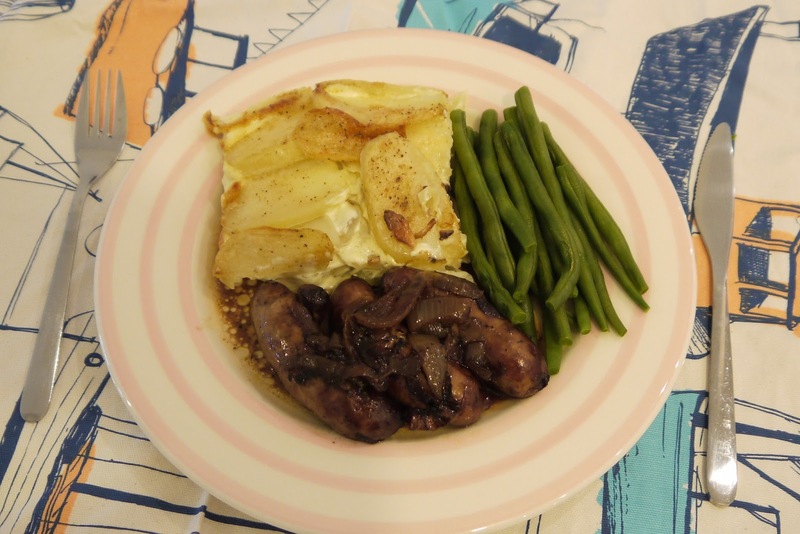 If you are going to make this I would suggest to make it for dinner Sunday night so you have enough left over for dinner Monday evening - no cooking! 1. Heat up the double cream on super slow heat and throw in the chopped garlic. 2. Peel the potatoes and chop it all up thiny and layer the potato in a dish (like the photo above) once you have done first layer add some salt & pepper and continue with the second layer and repeat. 4. 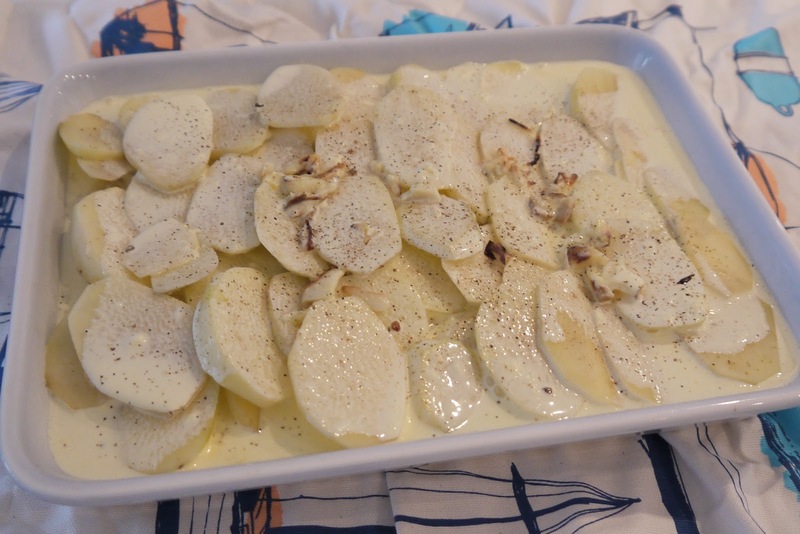 When the double cream starts to boil you can pour it over the tray of potatoes and finish off adding salt and pepper. 5. Put the tray in the oven for 50 minutes until golden brown - top tray of the oven. 1. Hot pan fry the sausages with a tiny bit of olive oil and grind in some salt. 2. Add in the red onions and cook both until there is a golden colour. 4. When everything starts bubbling add in a little more pepper and put it in a dish ready for oven. 5. You can put it in the oven on the bottom tray for around 45 minutes. 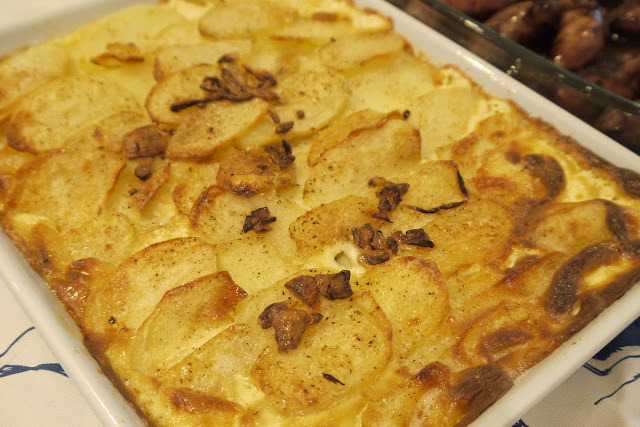 Both dishes should finish cooking around the same time, soon as the potatoes are golden brown it's ready to serve with some vegetables of your choice. This dish is great for the whole family as it's minimal effort and you can cook bigger portions to feed more people. A lot of us often forget about the older family members in particular the elderly who often feel isolated and lonely where they live *Sunrise senior living have decided to run a campaign to combat loneliness and increase awareness through people of all ages. So have a think about anyone you know who might be in this position and invite them over for dinner and spread the love! Games are always a great way in getting everyone together and it can often be the simplest games that makes everyone laugh! This one certainly took me back to my childhood...couldn't stop paying it! That looks delicious! Might have to make those potatoes soon. Don't make them too often tho...very fatty but so delicious!